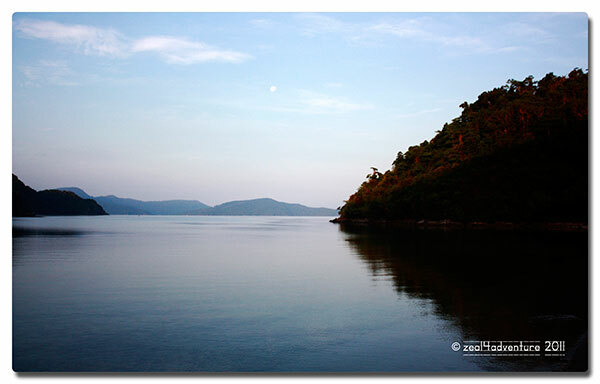 By some fortunate stroke of serendipity, we came to learn of a cove somewhere in Palawan that evokes nothing but serenity. I got a call from A, “cancel your holy week trip, we’re going to Port Barton”, he insisted. 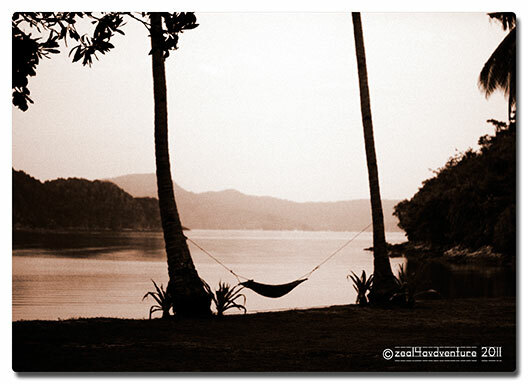 At a bar in Puerto Princesa early this year, he strike up a conversation with an Englishman who owns a resort off Port Barton. It’s a “private, protected bay”, he said. And with that, I canceled my Easter break dive trip. 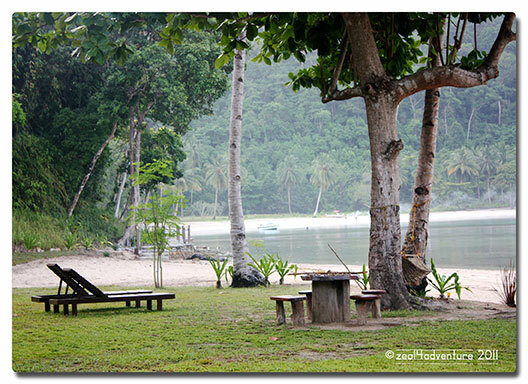 Secret Paradise Resort is a 52-hectare nature reserve situated between Sabang and Port Barton in Palawan. Close to Cacnipa Island (another destination bookmarked for the future), the bay has crystal clear blue waters that are as placid as a lake. Mark Worsdell met us at the airport. 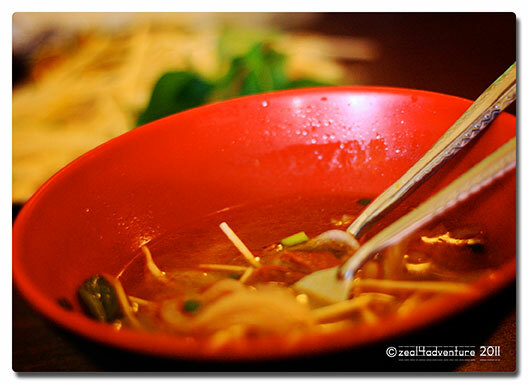 A kind enough fellow who gave in to our request to have our fill of Pho and Ban Mi at Rene’s Saigon along Rizal Avenue, before heading to the island. A must when in Puerto. Full and happy, we ventured northeast to Port Barton, a 3-hour (about) trip by van. At Port Barton, we took another 45 minutes by boat to the island. Approaching the resort, I can see why it is called a secret paradise. 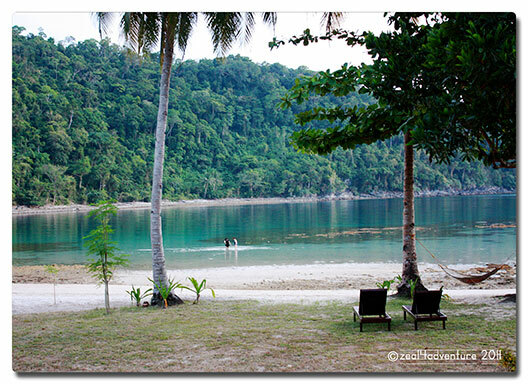 Unspoiled, secluded and surrounded by tropical forest with calm waters that invites for a dip right there and then. There were 10 of us and we had the resort all to ourselves, occupying all 3 cottages and a bedroom at the main house – that private. Mark has plans though of putting up more cottages in the future to accommodate more guests. The place has more than enough space for that! 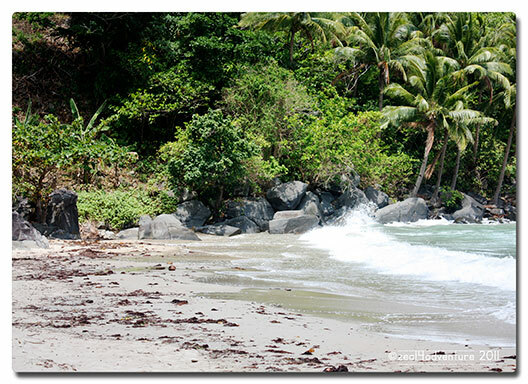 An Eco tourism resort, it is committed to protect the bay and its marine life, especially the marine turtles that goes to Turtle Beach, one of the 3 beaches of the resort, to lay their eggs. On our visit, the eggs were buried under the sand still, to the disappointment of my nephew. 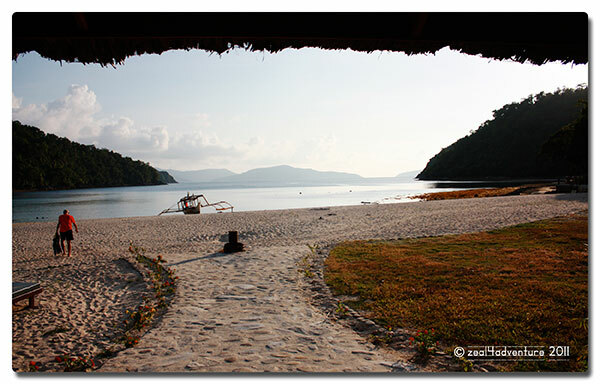 The 2 other beaches are Hideaway and Sunset beach – all within walking distance from each other. 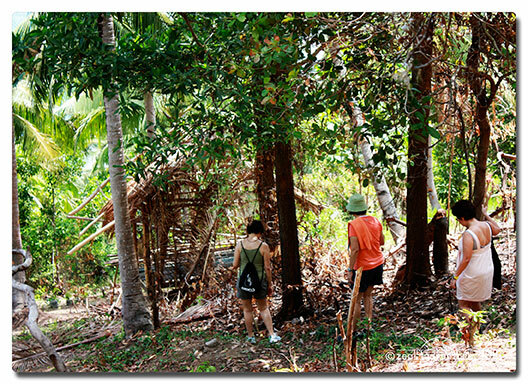 One day, we hiked to a quiet fishing village on the other side of the island – the hike took less than an hour over a rainforest. At the highest peak, one could have a nice view of the bay. 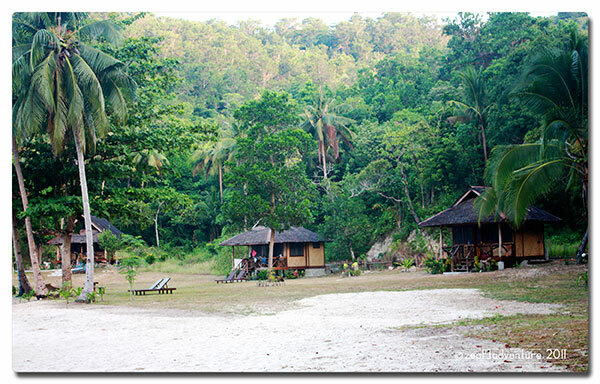 The village, also a pretty beach minus the tranquil shelter of a cove. The full moon left the fishermen with not one fish to sell. We contented ourselves with giant squids instead. They were off to town to sell their catch but we intercepted and they were happy to sell all their merchandise to us (us includes the resort). Suffice to note that we had squid for lunch and dinner. The village folks are mostly fishermen and their families hailing from Ilo-ilo (if I remember correctly). They say that they live a simple but abundant life with little to worry about. Some of them works for Mark at the resort. 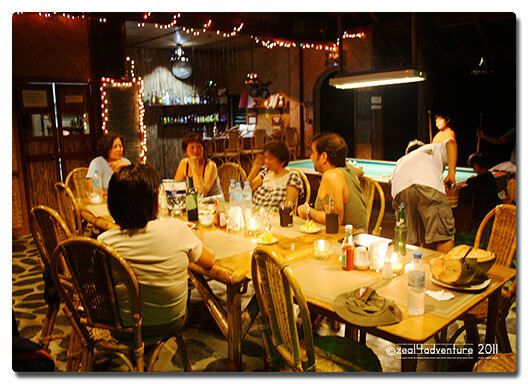 we’d hang out at the restaurant chatting or playing billiards till before midnight… when the generator goes off. There are only 5 barangays in San Vicente, which are partly served by electricity; the rest has to still make do with generators. But despite being on generator, Secret Paradise Resort provides free Wi-Fi and hot showers – I’ll give them an A for that! 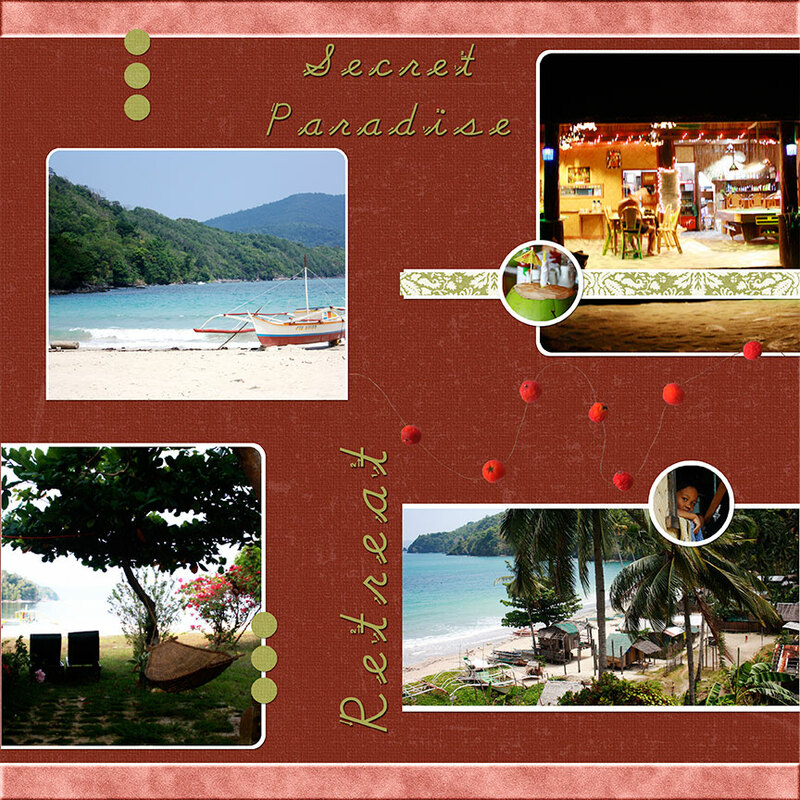 Secret Paradise Resort is definitely worth checking out if quiet and calm is what you’re looking for. Quiet and simple with a few modern amenities, endowed white sand beach, calm blue waters… it is indeed quite a paradise on earth. 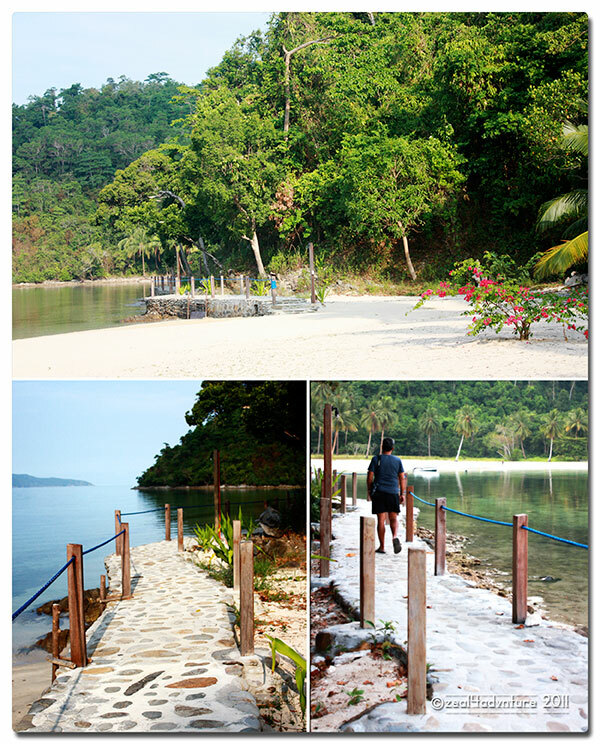 San Vicente is accessible by bus or shuttle vans from either Puerto Princesa or via Roxas. 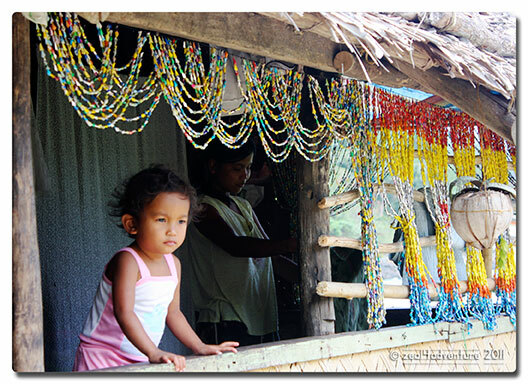 From Puerto Princesa to Port Barton – public jeepneys leave between 8-9AM daily from the public market in San Jose. 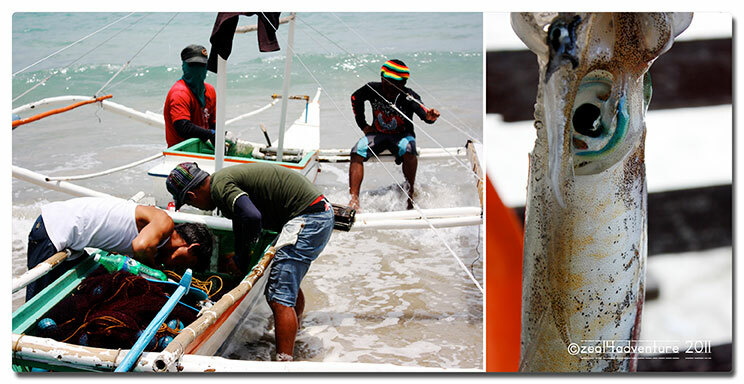 From Roxas to Port Barton – there is only 1 jeepney that leaves at 12nn to Port Barton. From El Nido or Sabang to Port Barton – take public transport to Puerto Princesa and ask to be dropped off at Roxas, there is however only 1 jeepney that plies to Port Barton so make sure to arrive at Roxas before 12nn. 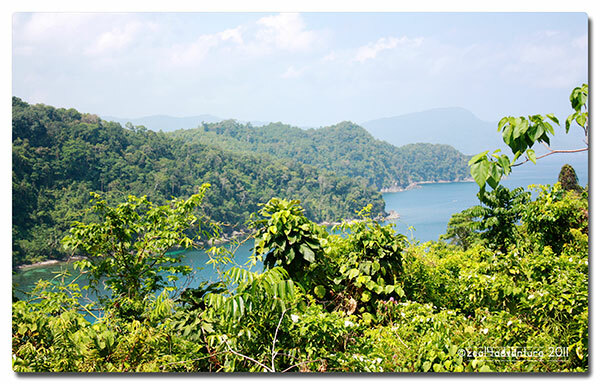 Alternatively if you miss the bus, ride all the way to Puerto Princesa and hire a motorcycle to take you to Port Barton. You can also rent a vehicle with driver from the airport. 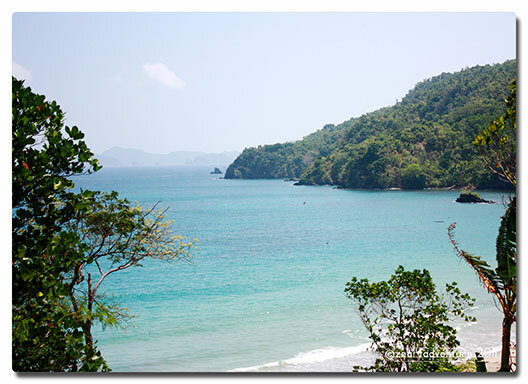 From Port Barton – hire a boat from the tourism office or book a boat from the resort 2 days in advance. Next postSwim. 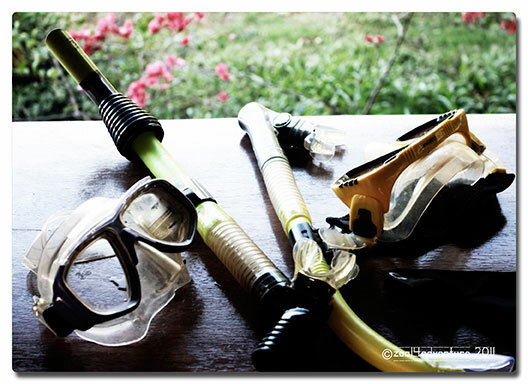 Snorkel. Fish. Eat. What fabulous shots of this heavenly place! 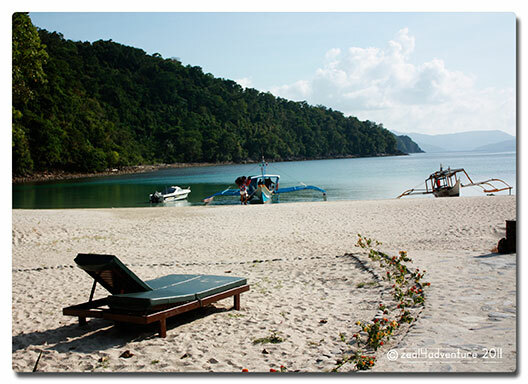 oh the philippines is a great candidate for ecotourism with its abundant natural resources. i was just in costa rica for ecotourism last month and i know if we put our concerted effort into it, we can follow costa rica’s lead and preserve and conserve our natural resources and make money from ecotourism like they did in c.r. 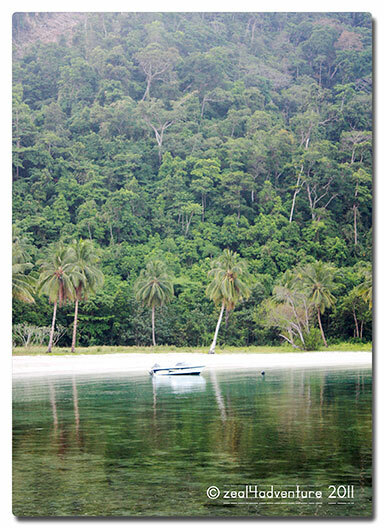 Oh my, the waters so pristine, clear and untouched! It is heavenly! I don;t mind having the Island to my party! You have a good host! Like the recycled straws for curtains.